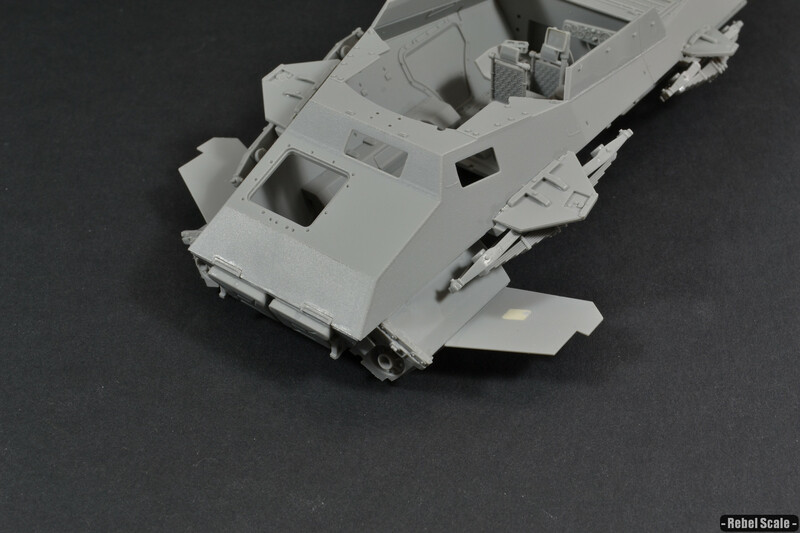 This is a build log for my kit-bashed panzer hovertank, which I call the Rezna P.234. 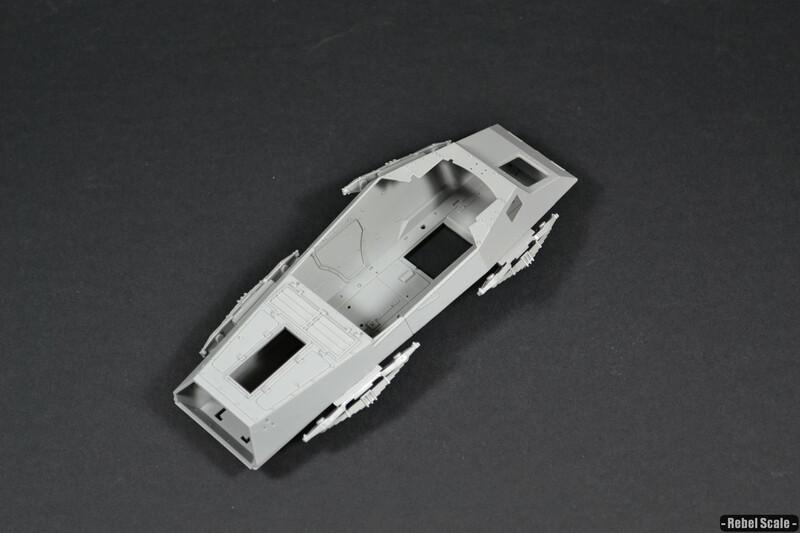 For this, I used only 1 single kit: Dragon's 1/35 Sd.Kfz 234/4 armored car. 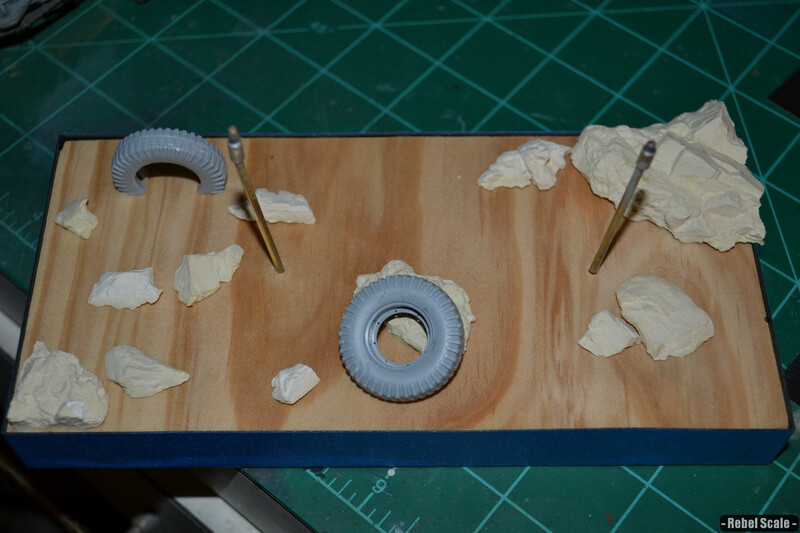 However, I did add a desert diorama scene. 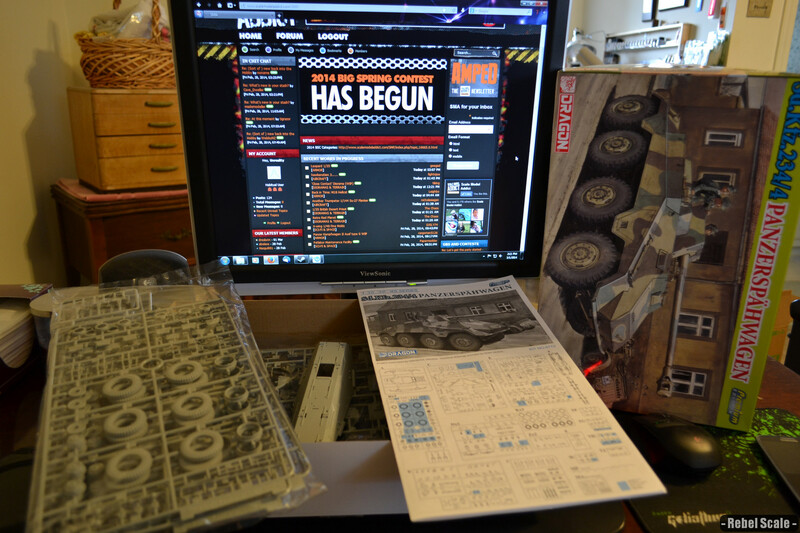 There is a more detailed walkthrough at Scale Model Addict, but I moved all of the pictures and captions here. 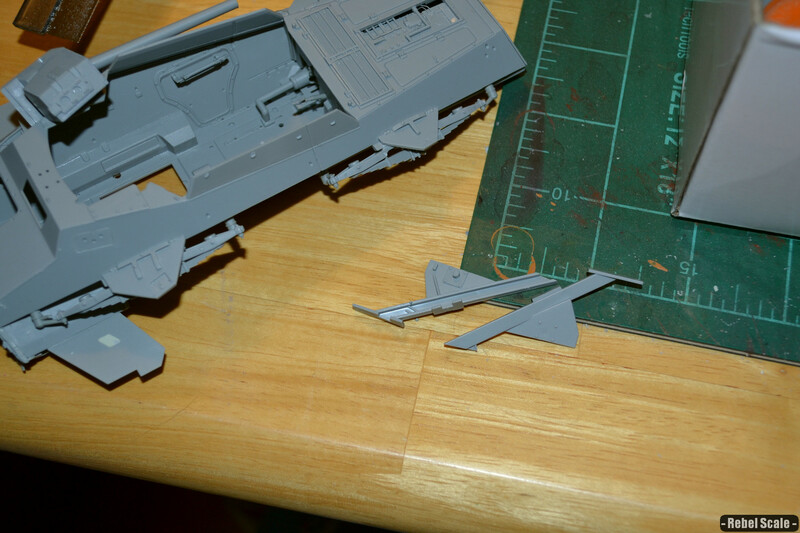 Photo of the unstarted kit for the SMA contest. 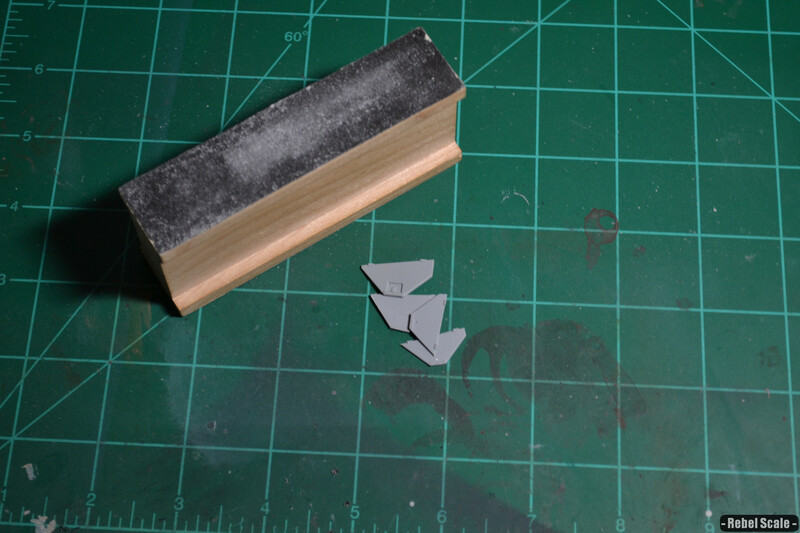 Basic hull pieces glued together. 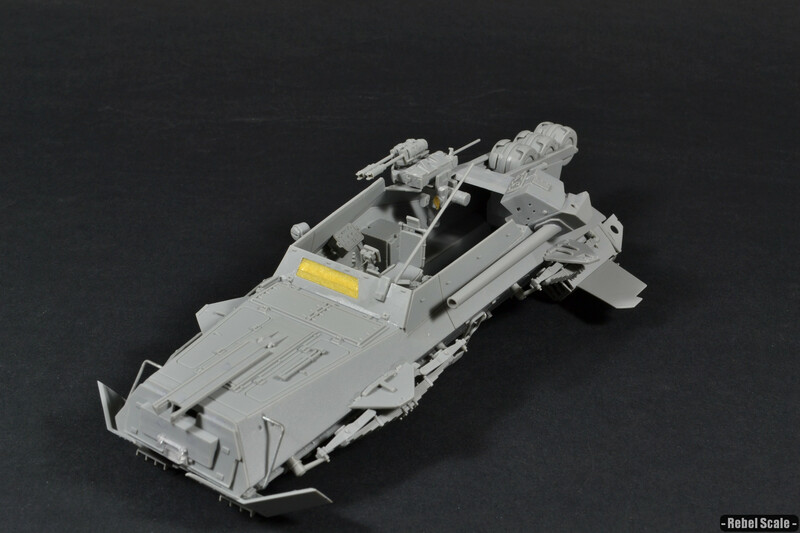 Dremeled out side compartment hatches. 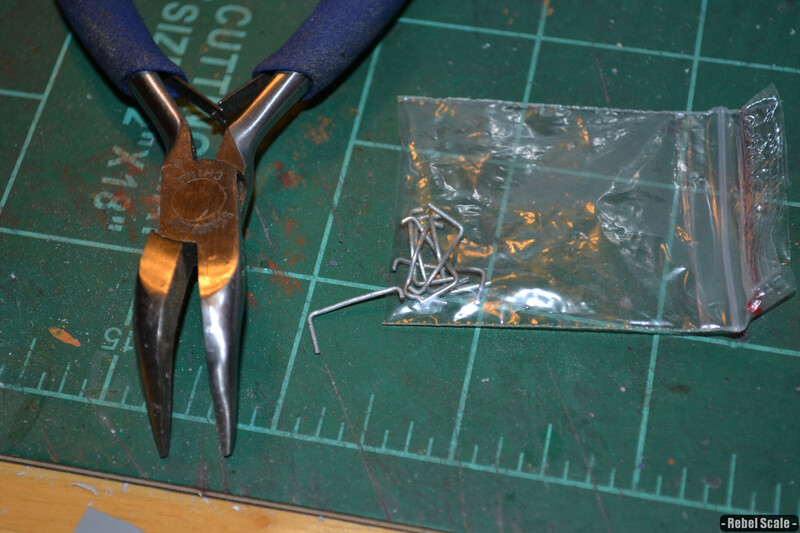 Sanded them down for thinner appearance. 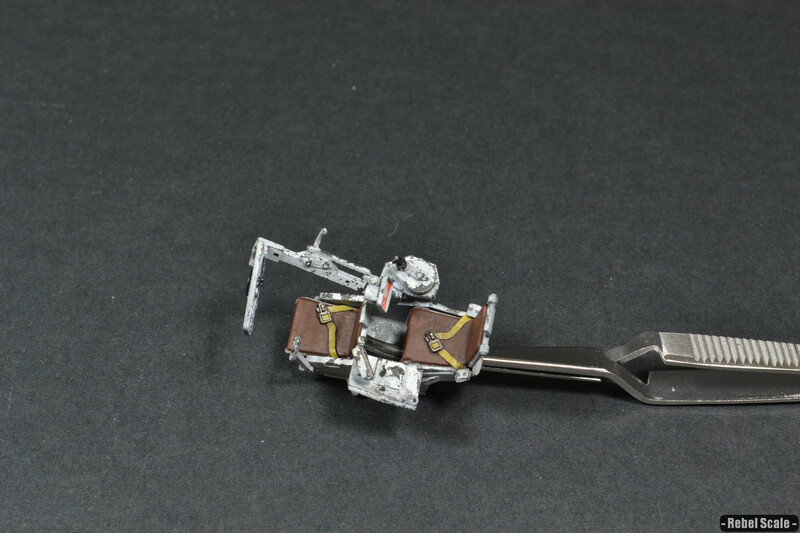 Added suspension parts to create hover-things. 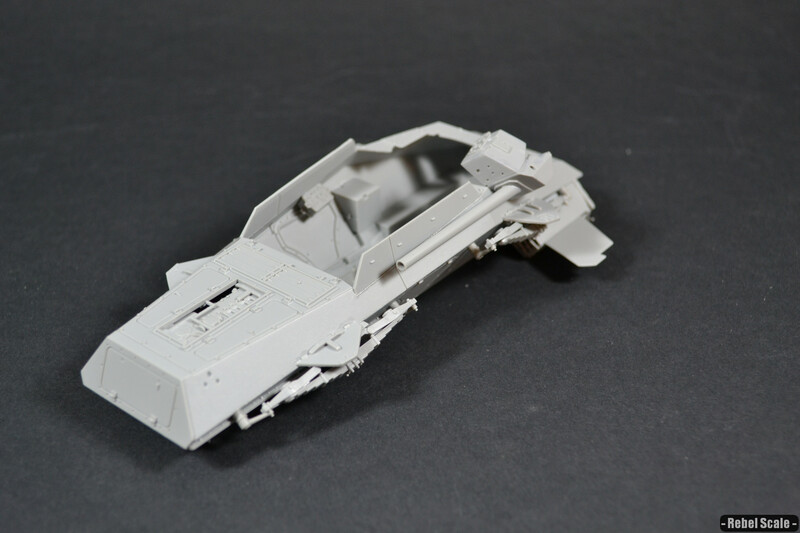 Added engine and hatch, glued on previous hatch parts. 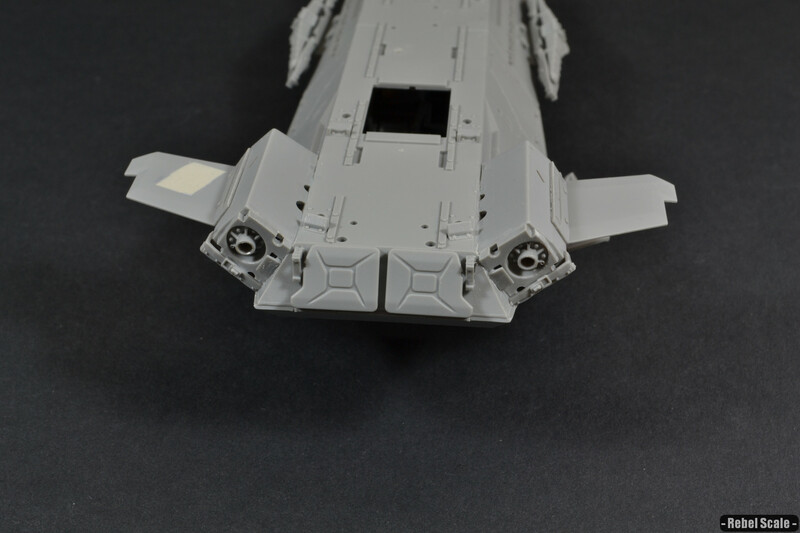 Used part of the undercarriage for thrusters. 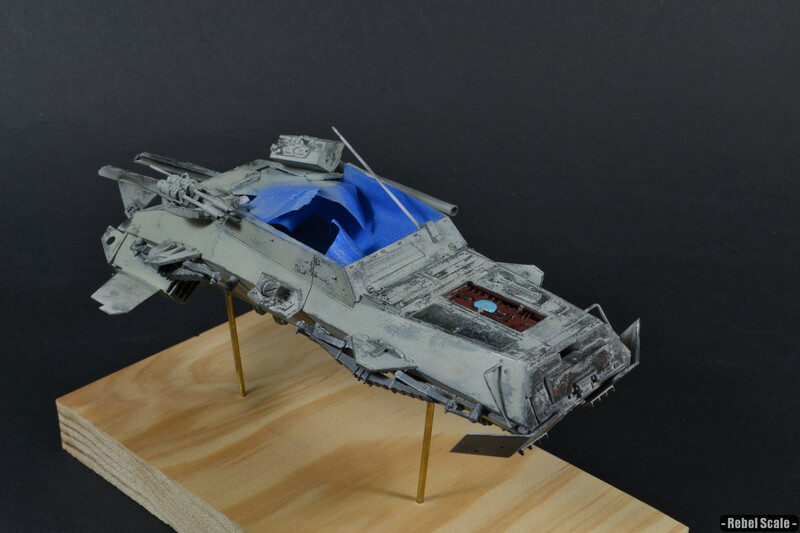 Glued on thrusters and used gun shield as wings. 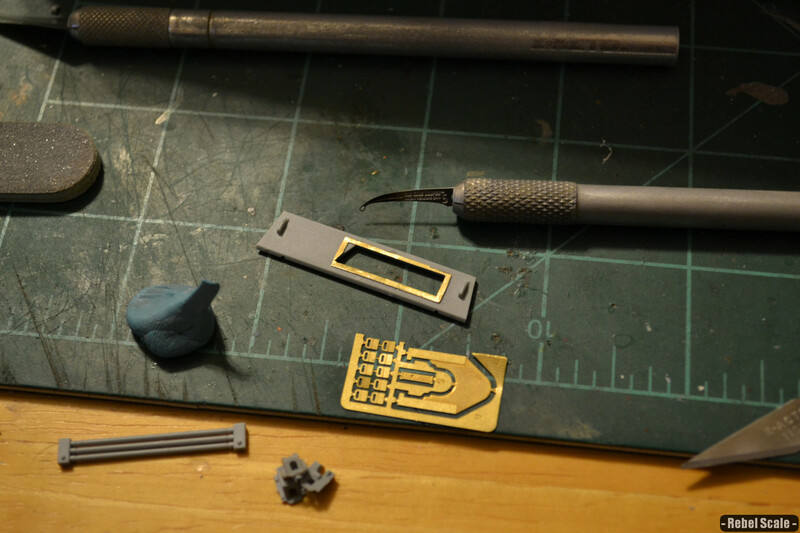 I had to add filler putty to cover up part of the gun shield opening. 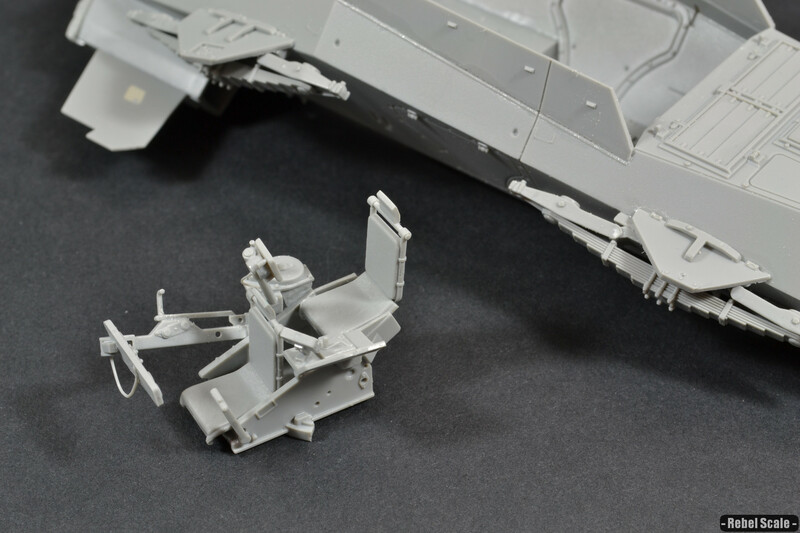 Created double command chair from random parts. 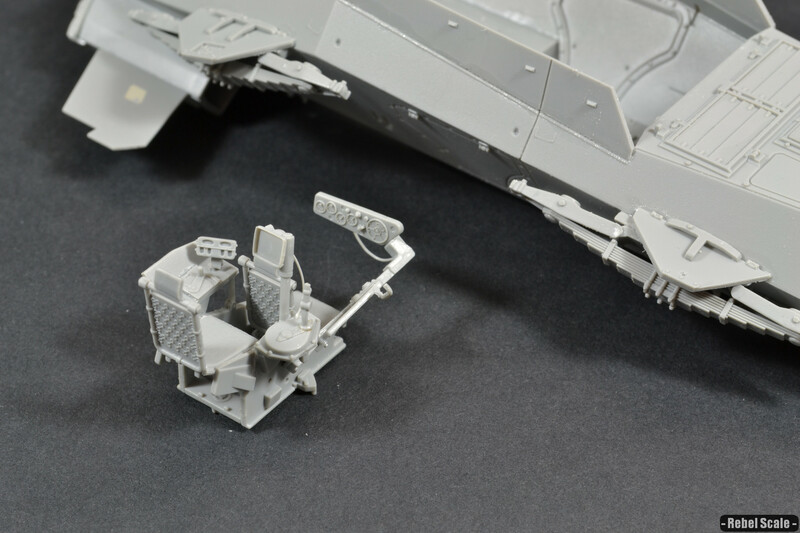 The chair base is from the gun. 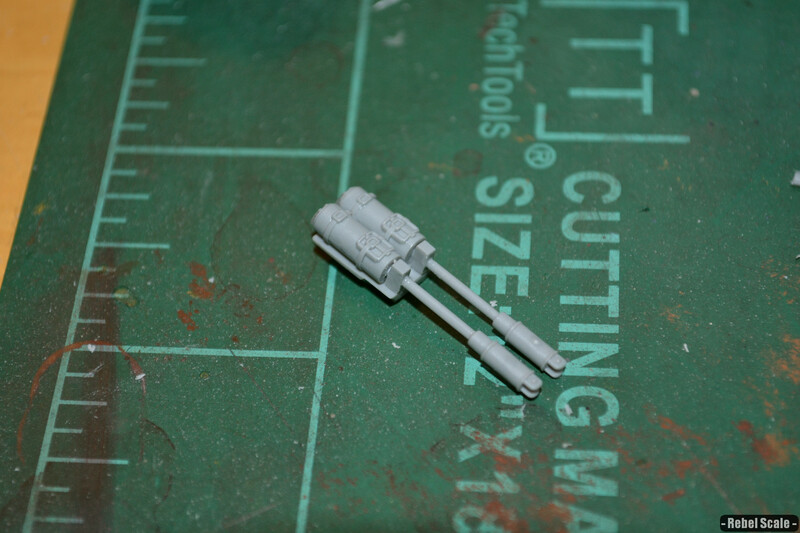 I used parts from the jack and stretched sprue. 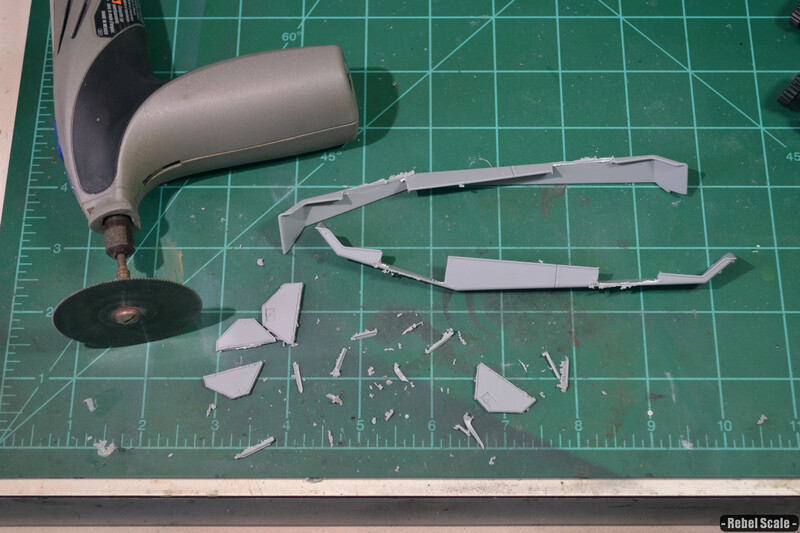 To cover up an open piece, I used various parts, which I cut down and puttied over. 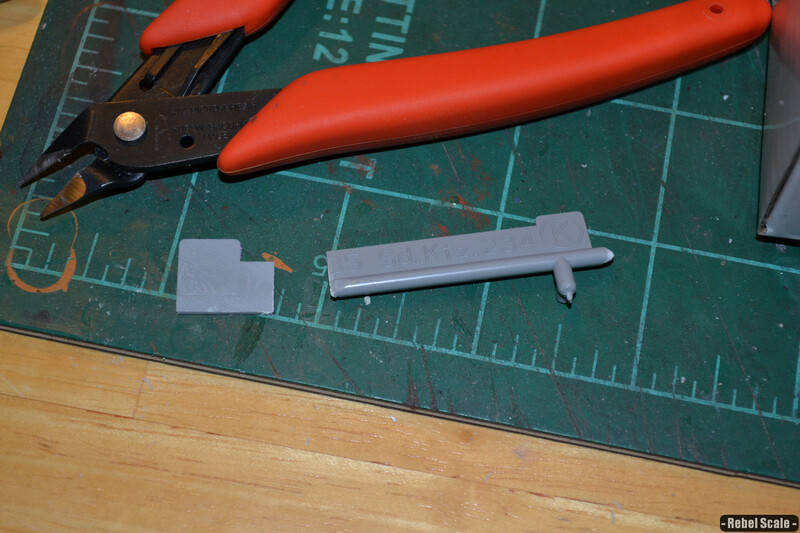 Using part of the sprue label for sheet styrene. 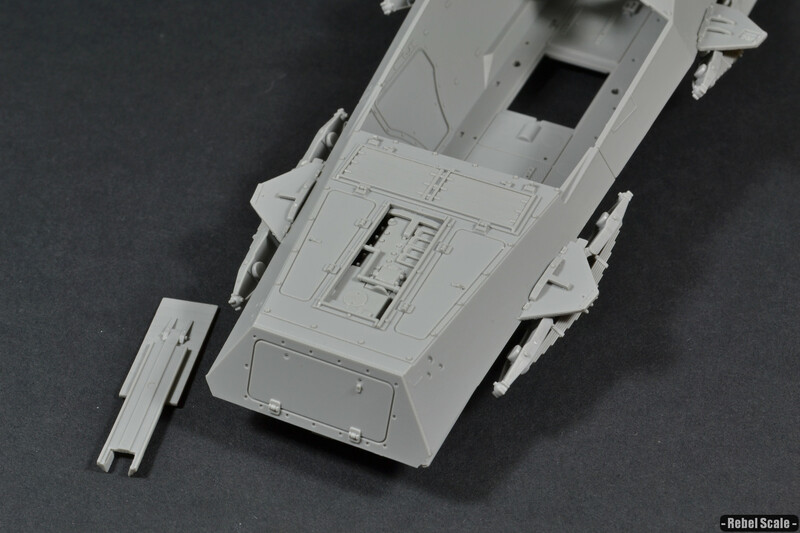 You can see the chair mounted, as well as the front plate. 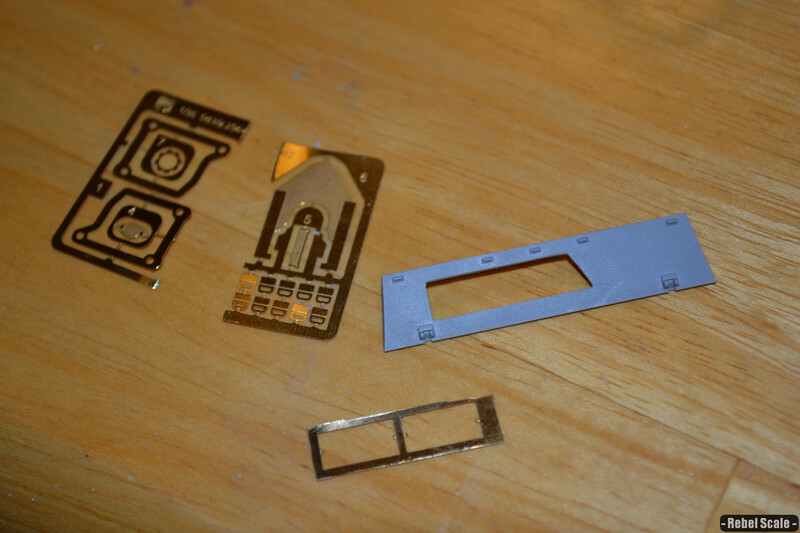 Turning the front plate into a viewport. 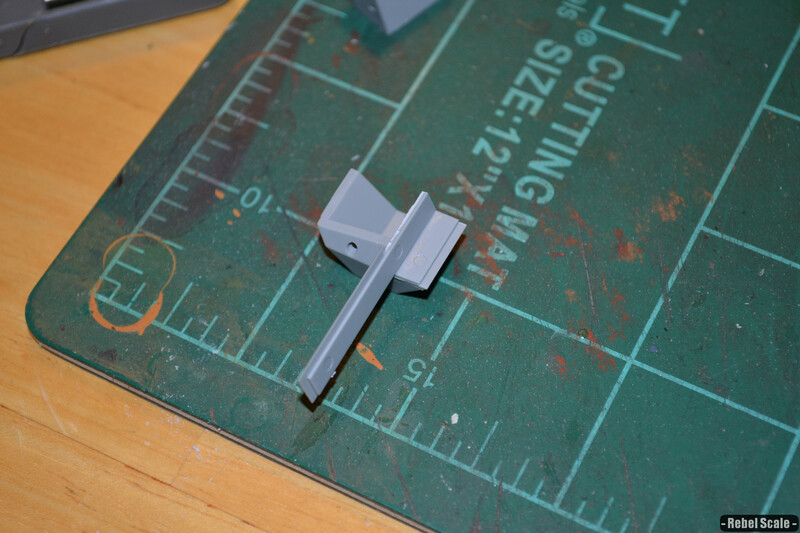 I used extra PE bits to create and inner bevel. 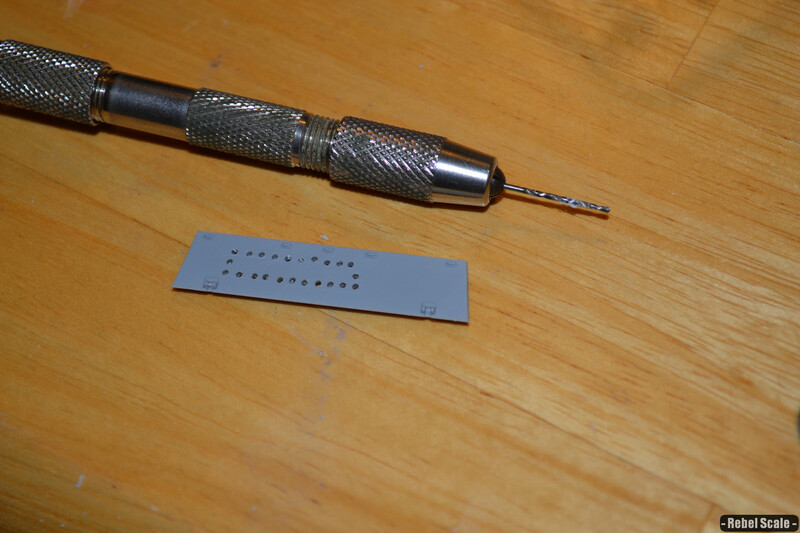 Using a glue looper, I glued the PE in place with CA glue. 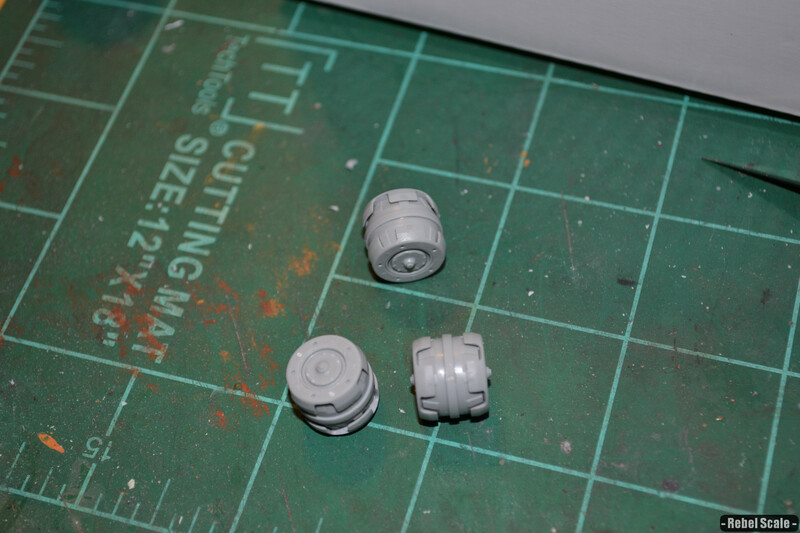 Using the gun braces, I decided to create a roller-mine launcher. 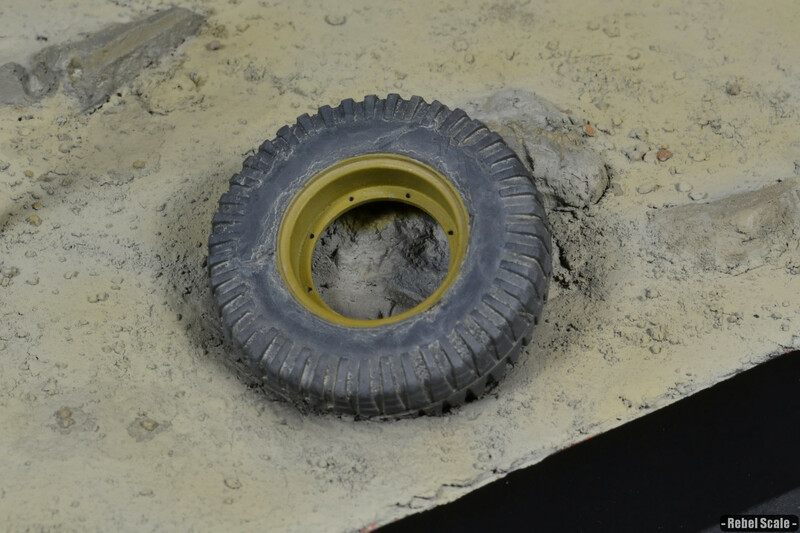 Roller mines created from wheel pieces. 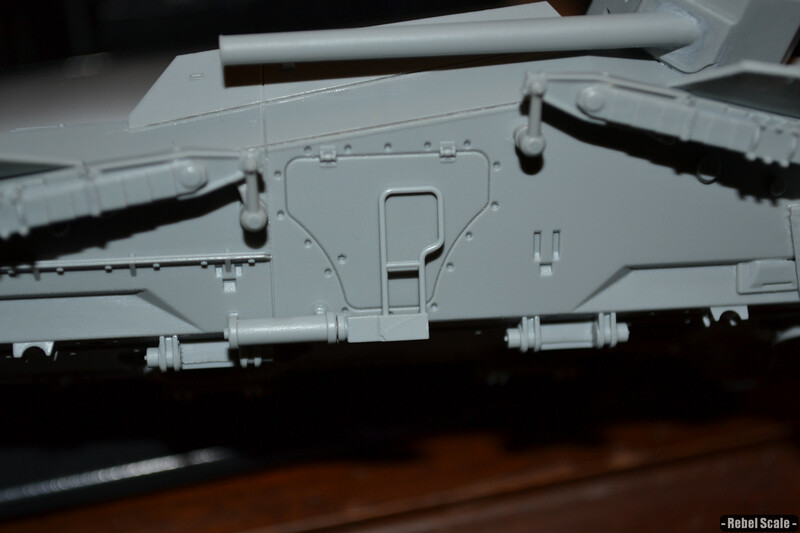 After smoother out the braces, I glued them on the back and added the roller mines. I created a stepladder that opens and closes. 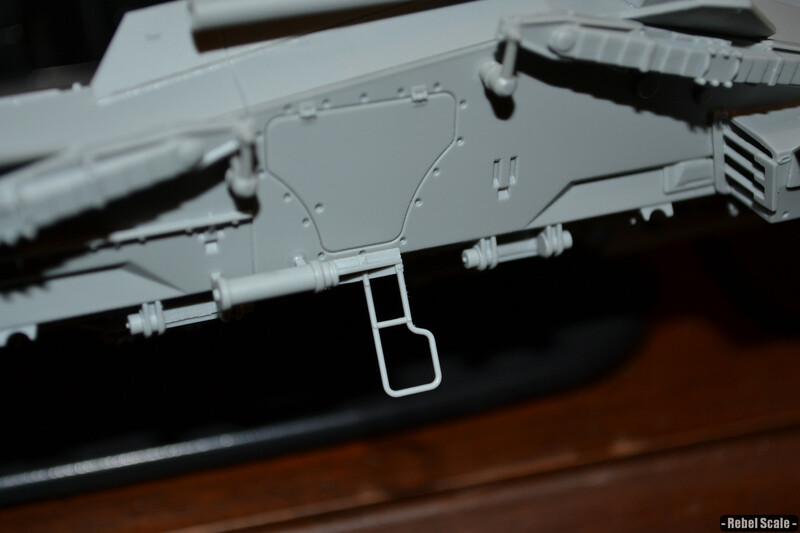 You can also see additional side and underside details (such as the braces for the hover-things). 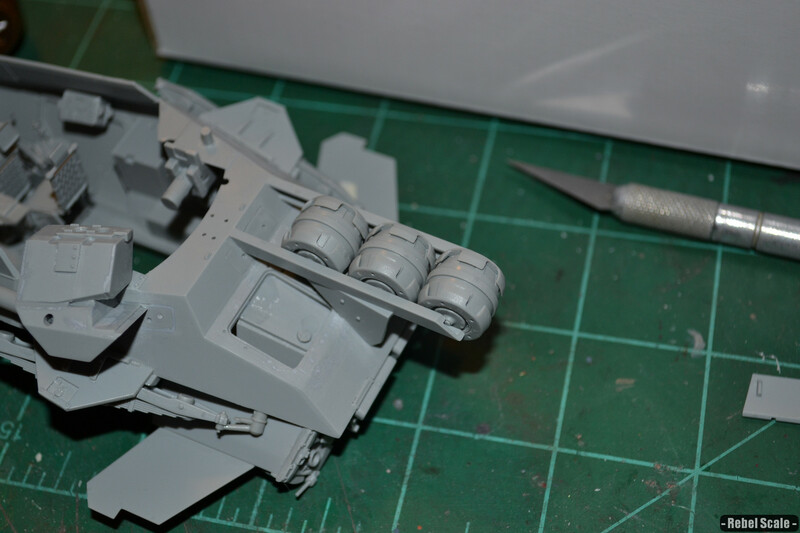 Using the fire extinguishers, I created a dual cannon mount. 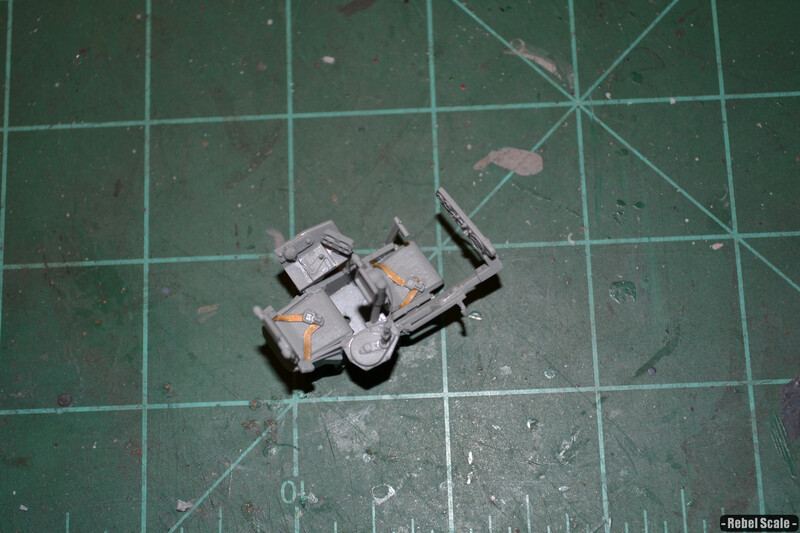 I also used the steel suspension bits to create grab-handles. 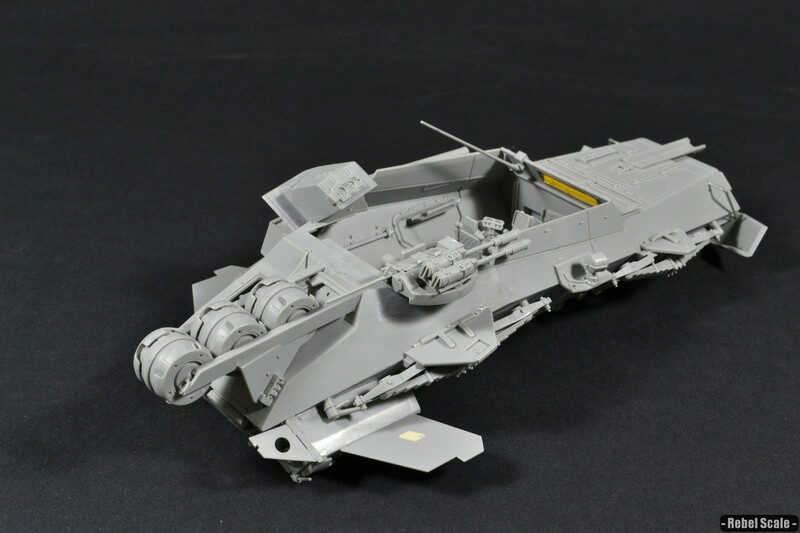 Here’s a rear view. 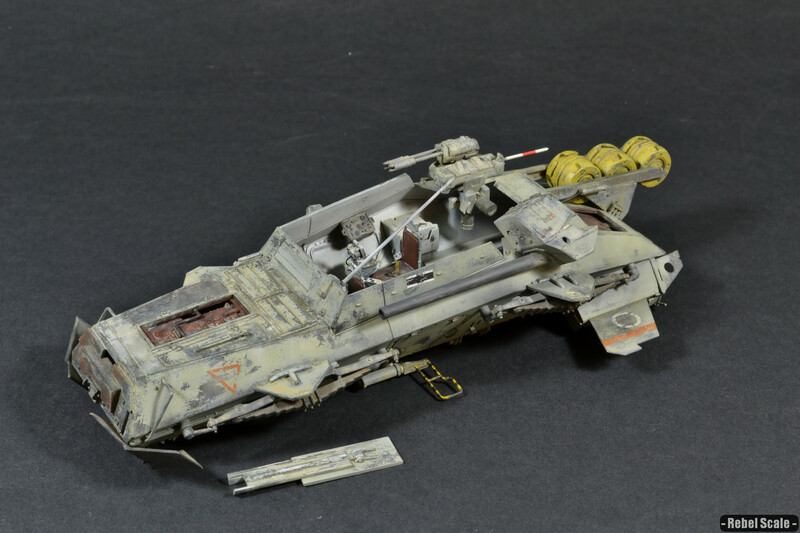 You can also see the added antennae in this shot. 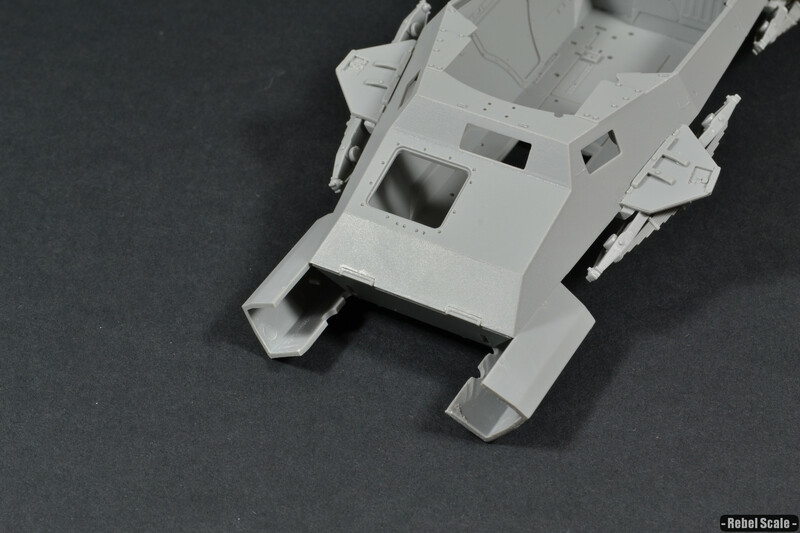 Another of the lower front with the deflectors in place. 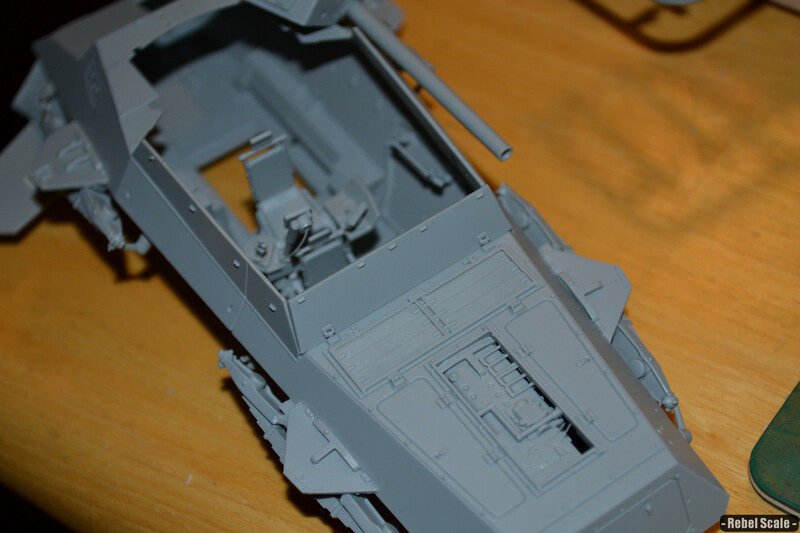 Interior shot with command chair installed. 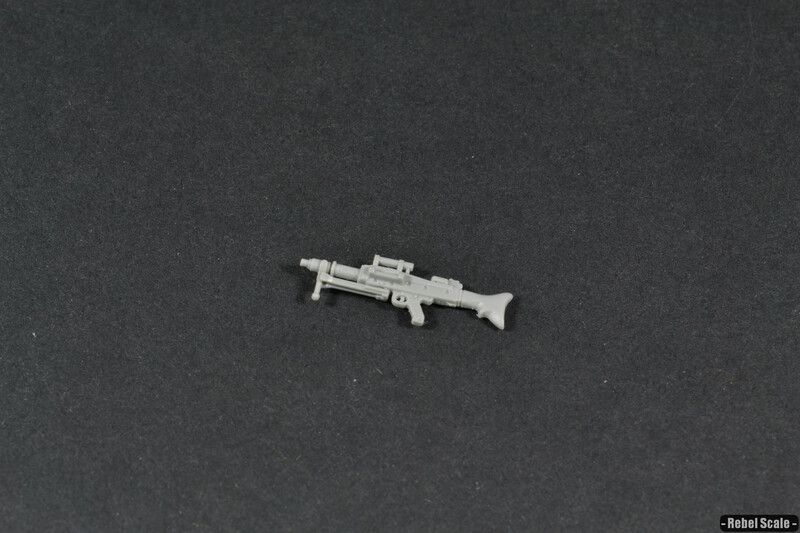 Also created a sci-fi rifle from extra parts. 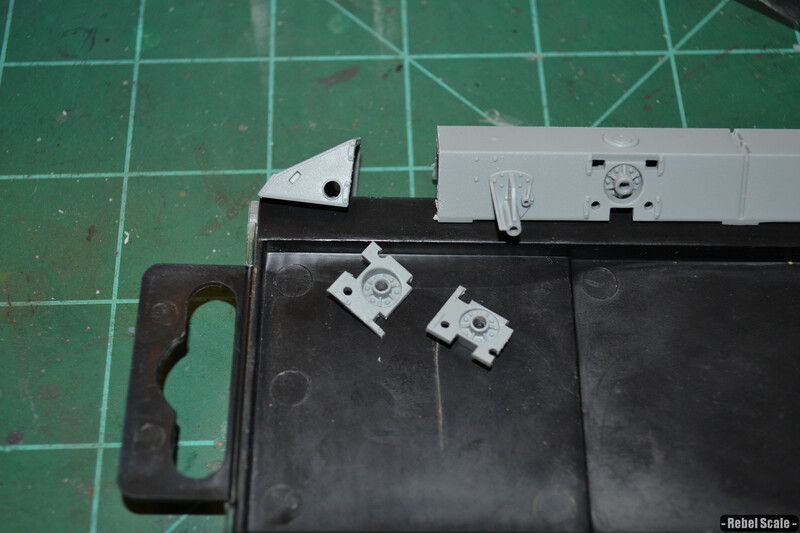 Lastly, I added seatbelts from the jerrycan PE pieces. 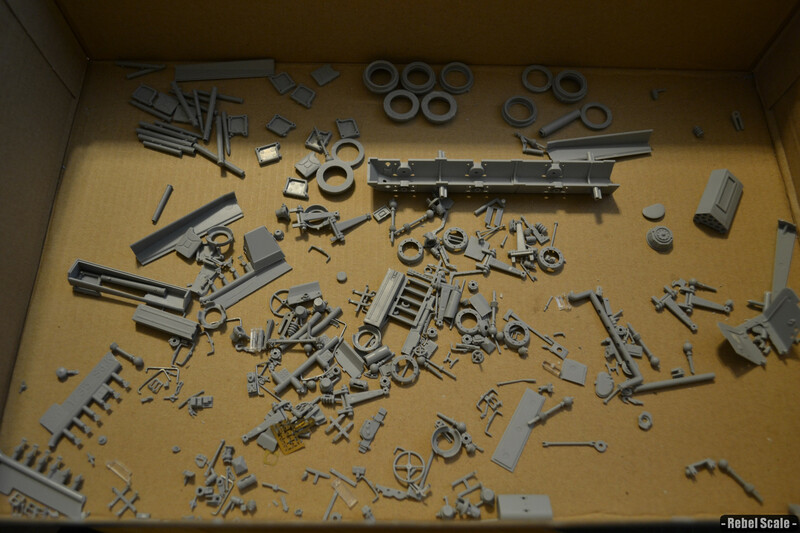 Here’s a shot of all of the parts left over from the build. 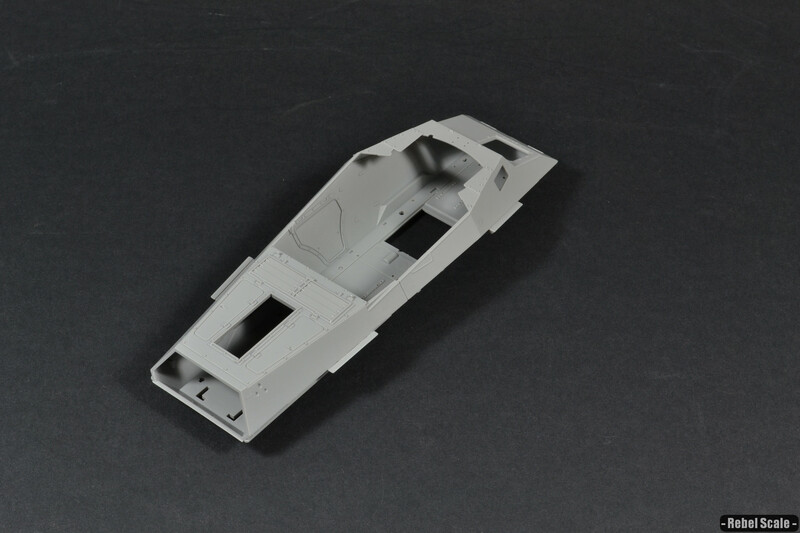 I primed first with Tamiya Grey, then with Vallejo. 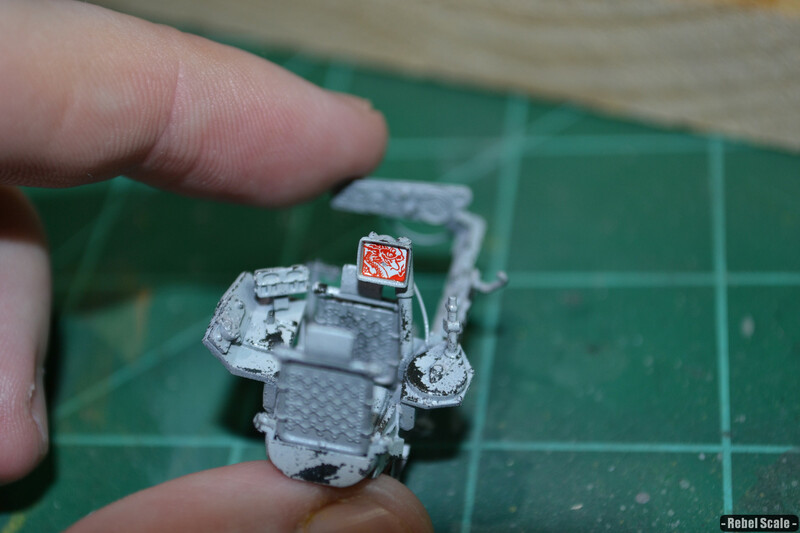 Then I added a mix of LifeColors to create the primer red. 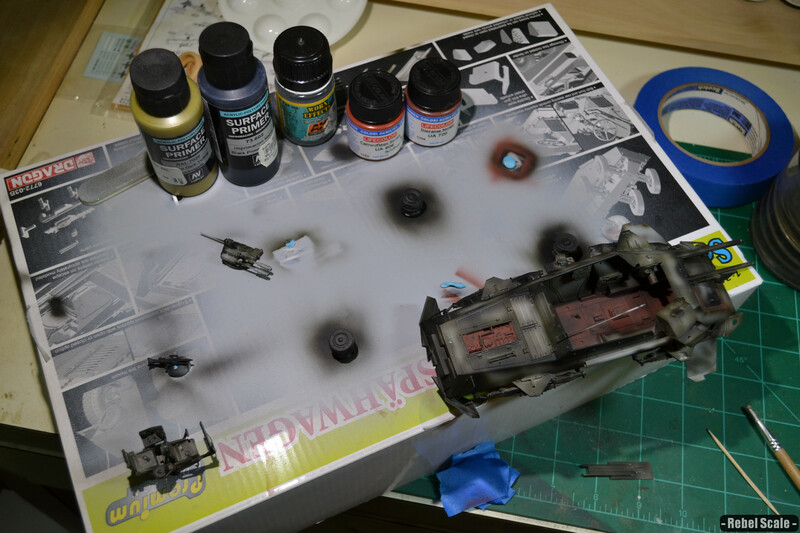 A layer of chipping fluid, then a light grey. 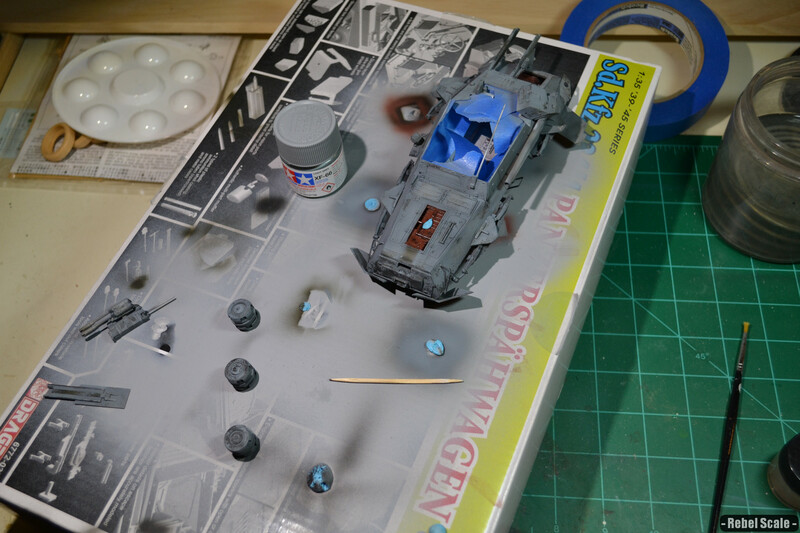 Added a bluish tint from Tamiya paints, then chipped more (using fluid). 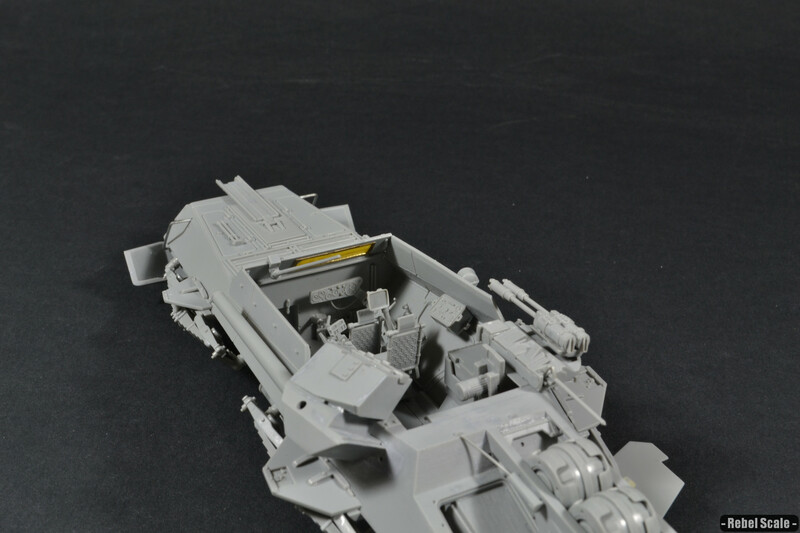 Finally, more chipping fluid, and an off-white color. 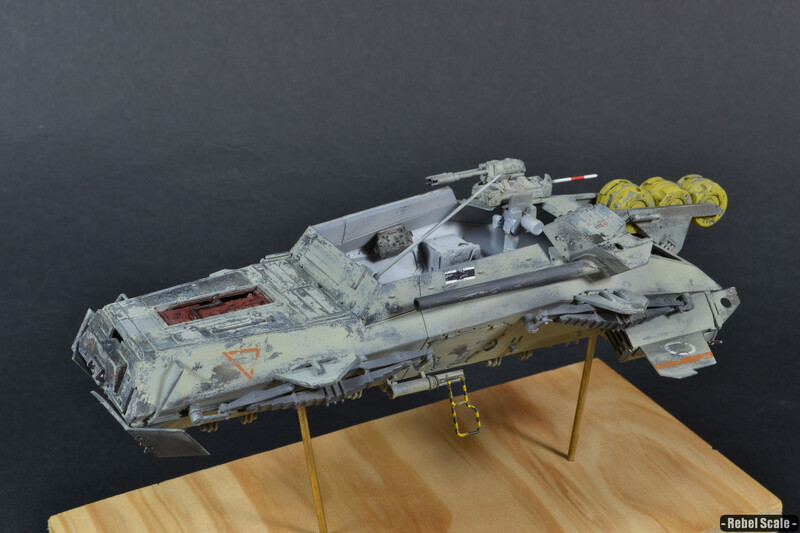 Added decals and orange marks (masked off by tape). 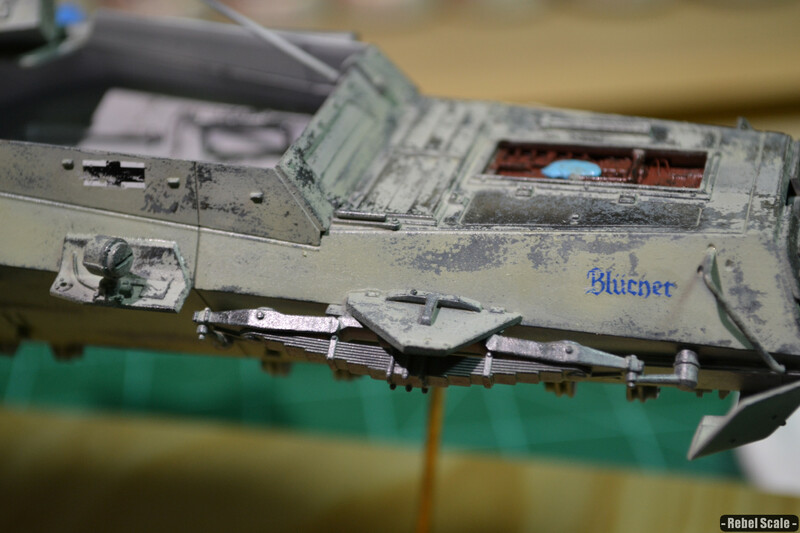 Was originally going to say “Blucher”, but came out “Blucner”. Used the Dragon logo for the screen. 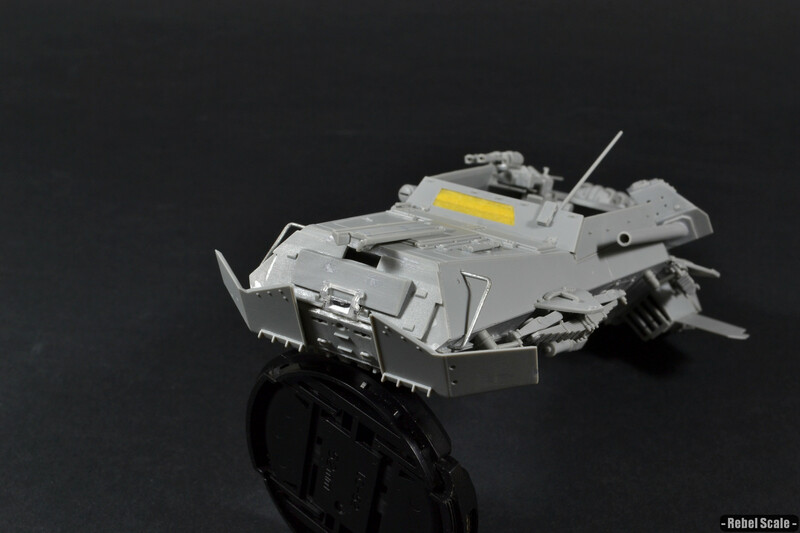 Added more marks to the front, painted the rear-facing antennae, and painted the roller-mines. 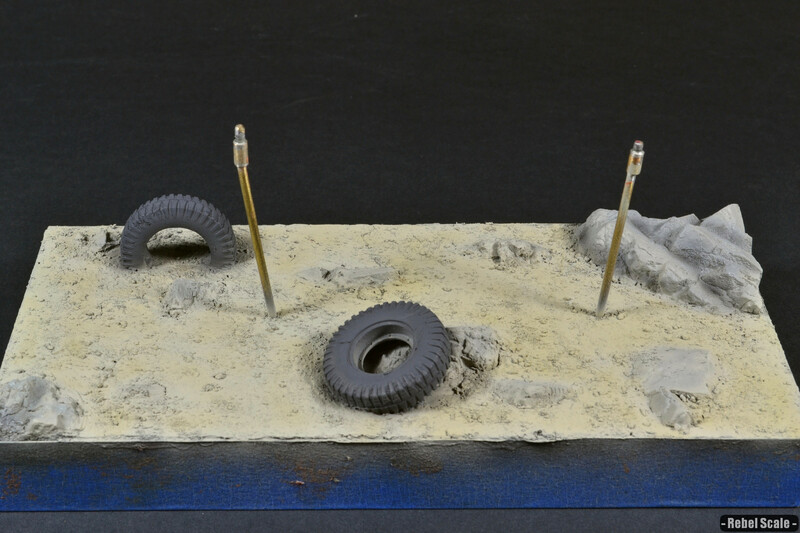 So, I decided to create a desert base using molded rocks and tires from the kit. 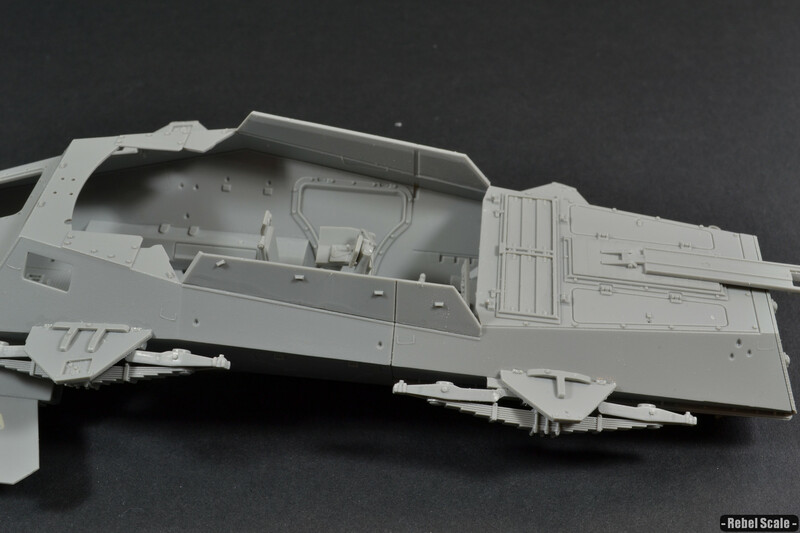 The tired were roughed up and everything was test-fitted to get an idea of what it would look like. 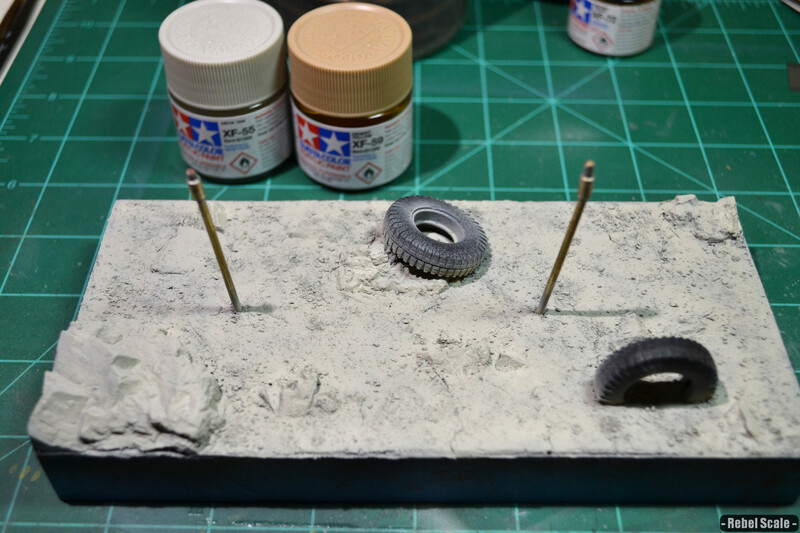 Rocks were glued with white glue. 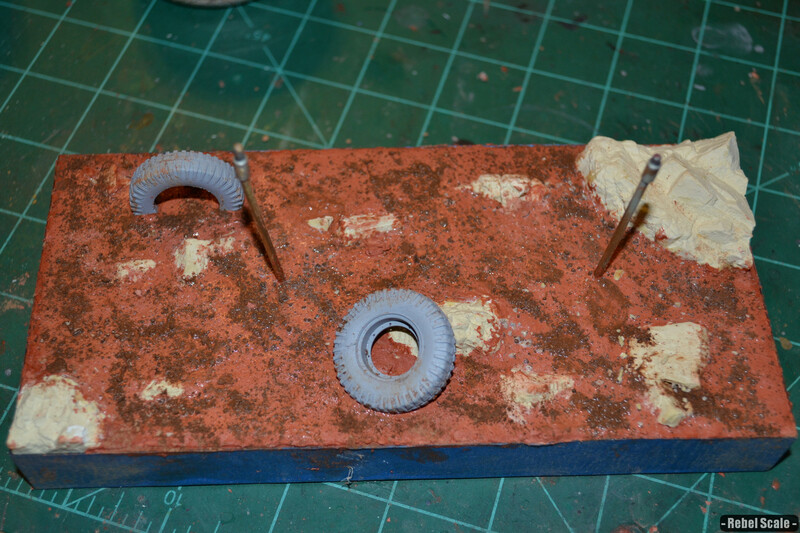 Using DAS putty, I filled in the entire area and embedded the tires in it. 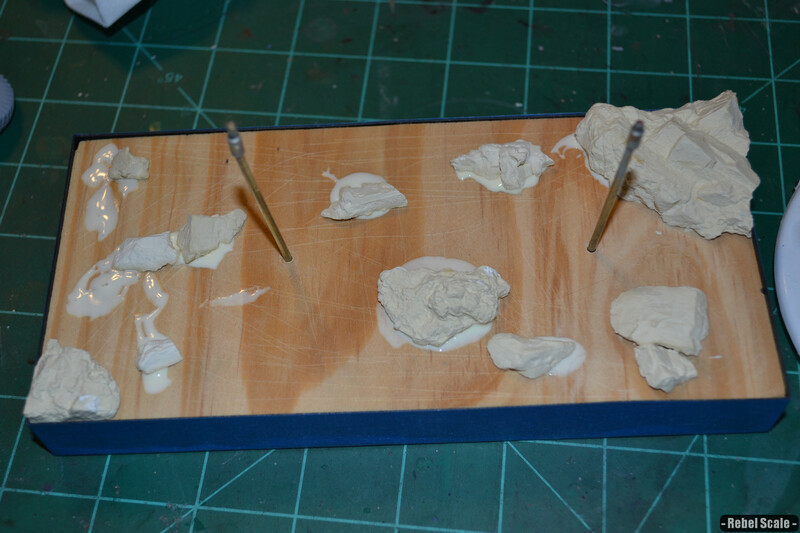 Then I began spraying various desert tones. I wanted a “whiter” desert than my AT-TE diorama. 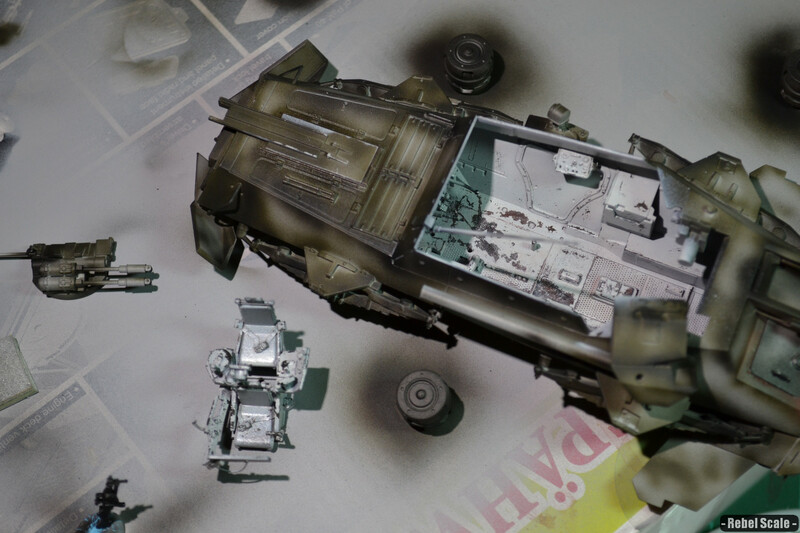 I was also weathering the hovertank in between the dio sessions. I used enamels and oils to create contrast and dust. 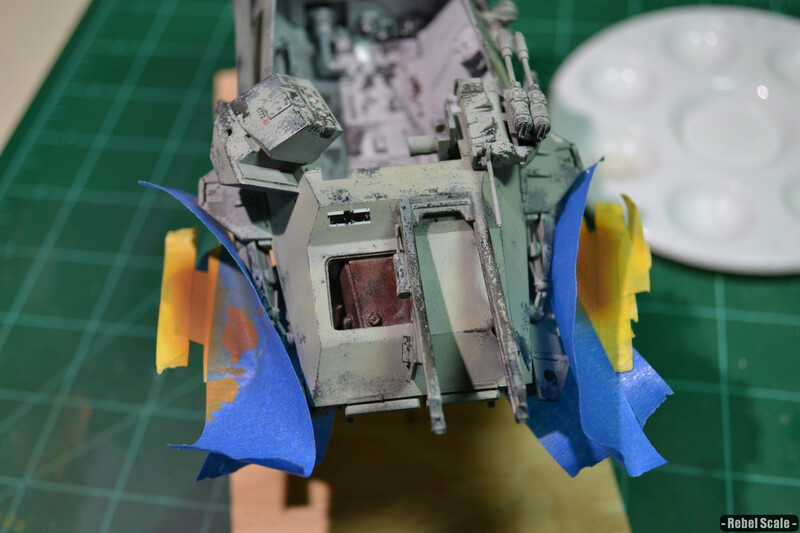 A happy accident: in masking off the wheel, part of the paint lifted up. I repainted it, but the edges where the paint lifted were still there. 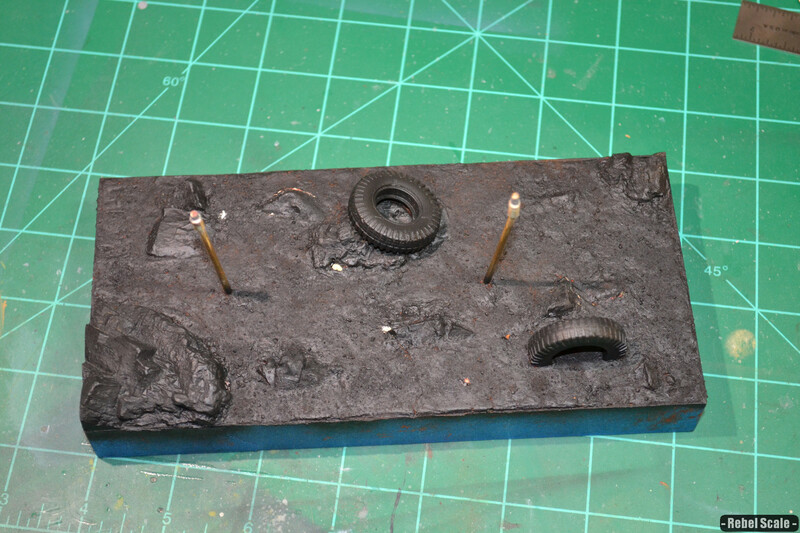 But once I added some highly-thinned Vallejo paint (as a wash), it created a worn tire look. 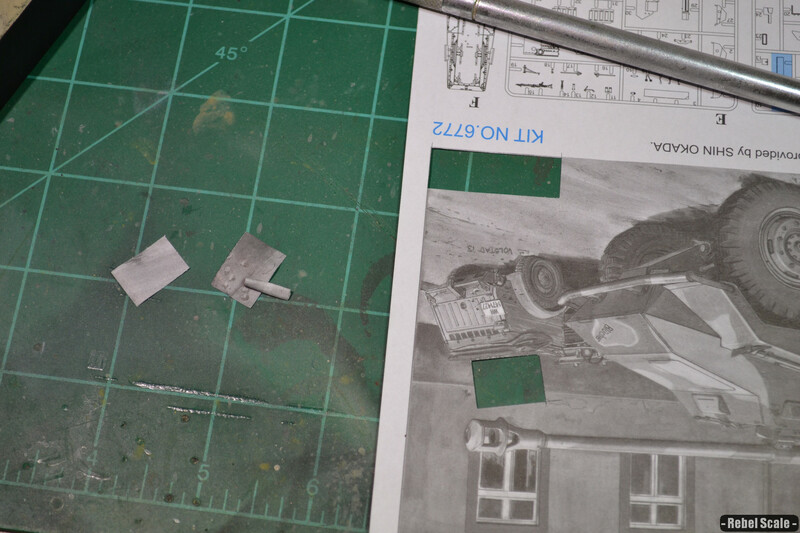 Here, I was cutting out pieces of the instructions to create scale maps for the interior.